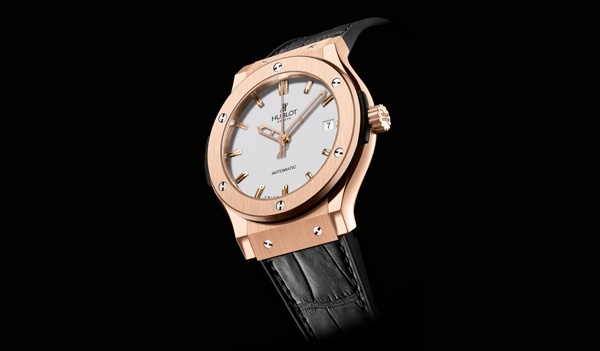 Hublot resurrects the idea of the classic, restrained men’s watch with this Classic Fusion Opaline Dial Gold 45 mm wristwatch. A sober design with black ceramic case, and detailing available in your choice of red gold, or zirconium, this is a great modern timepiece with restraint and class all around. This entry was posted in Accessories and tagged Classic Fusion Opaline Dial Gold. Bookmark the permalink.